Visit our multi-level kitchen showroom. the online consultation form today. specialists. Call Azztek Kitchens today. Every custom made kitchen by Azztek Kitchens is unique in its design, irrespective of your kitchen’s size and style. Our ‘Award Winning’ kitchen designer process is catered for each individual household, focussing on what compliments your lifestyle. Our Kitchen designer can come to you! We understand that we all lead busy lifestyles and trying to find that spare time to come into our kitchen showroom can prove to be quite difficult at times. Worry no more, our ‘Award Winning’ kitchen designer team is available to come to you during the day or after hours, from the comfort of your own home. Let Azztek Kitchens work around your schedual and create your dream kitchen before your very eyes. 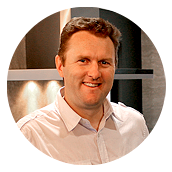 We all like different kitchen features, so allowing our kitchen designer to work closely with you and understanding your needs and requirements we are then able to design your dream kitchen. We use only the finest materials and finishes, which enables us to offer our Azztek Kitchens Lifetime Workmanship Guarantee on all our kitchens for your complete peace of mind. For a truly unique experience, contact us today or complete our online consultation form and arrange an appointment with one of our qualified and ‘Award Winning’ kitchen designer team, we can even come to you! Using our computer aided design (CAD) software, we can then show you what your new custom designed kitchen will look like in 3D within your current existing space. Speak to your local kitchen designer today. Simply fill in the form below and one of our experienced kitchen designers will be in contact with you very soon. Sign up for our newsletter to receive the latest news, news, tips & kitchen advice from Azztek Kitchens.